As a researcher I am foremost fascinated by biodiversity and as such most of my work is carried out in biologically complex tropical forest ecosystems. My research addresses processes underlying function and co-existence of tropical plants and mechanisms of biodiversity generation and maintenance. I take a special interest in density-dependent mortality or negative density dependence (NDD), as mediated by plant natural enemies, and how it affects regeneration dynamics of tropical plants. I further work on physiological plant responses to limiting resources, resource competition, and tolerance to environmental and global change - principally with respect to water and light. I explore the effects of variation in plant functional traits on individual plant performance and species distribution from local to cross-ecosystem scales. 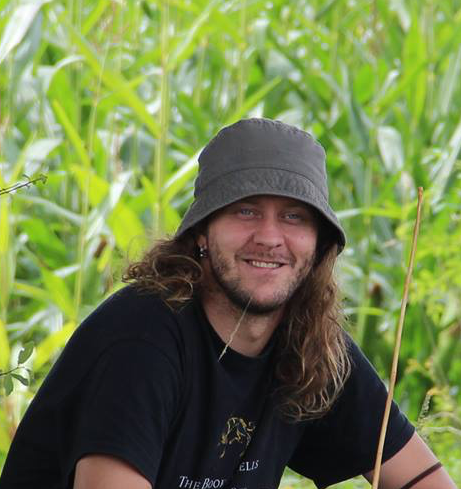 I currently lead a research project funded by a Sêr Cymru II - EU Horizon 2020 Marie Skłodowska-Curie Actions (MSCA) COFUND scheme, entitled ‘Plant-soil feedbacks; unearthing the mechanisms of successional tree species turnover in tropical forest’. This project takes place in Panama and is part of my ongoing collaboration with the Smithsonian Tropical Research Institute (STRI), Bangor University and the Multi-land project of the Welsh National Research Network for Low Carbon Energy and Environment (NRN-LCEE). I obtained my PhD in 2010 at Wageningen University (the Netherlands). In my dissertation, I addressed the functional ecology of tropical tree species, aiming to understand how species’ drought and shade tolerance strategies explain species coexistence and distribution along resource gradients. In early 2010, I was awarded a 2-year Rubicon grant by the Netherlands Organisation for Scientific Research (NWO), that I used to collaborate with the Smithsonian Tropical Research Institute (STRI) in Panama to study the role of plant hydraulics in explaining differences in drought performance between liana and tree species. Late in 2011, I moved to Spain where I collaborated with the Ecology and Global Change group at the Spanish National Research Council (CSIC) in Madrid for a year. Early in 2013, I started working on the NERC-funded project, entitled ‘Natural enemies, climate and the maintenance of tropical tree diversity’, at Community Ecology Research Oxford(CERO), University of Oxford, in collaboration with STRI. In this project we set out to test the hypothesis that humidity drives variation in tropical plant diversity through its influence on the interactions between plants and their natural enemies. The 2015-2016 El Niño event, and subsequent funding through a RAPID grant by the United States National Science Foundation (US NSF), provided an unique opportunity for a third postdoc to study the immediate effects of an extreme drought event on the physiological performance and regeneration dynamics of tropical plants along a rainfall gradient. This project resulted from collaboration between Oregon State, Yale, Bayreuth University and STRI. Finally, I joined SENRGy in 2016 as a Lecturer in Forest Sciences. Innovation in commercial soil health analysis and practical on farm guidance.